An incredibly detailed, subtly colorful, set of thematic double-sided, paint-filled tokens that clearly and easily track the status of one investigator. 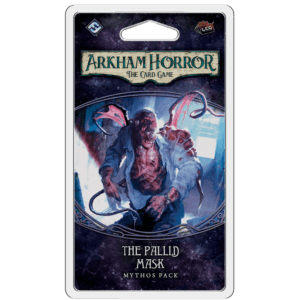 Pair any number of these sets with a single Campaign Set to bring your Arkham scenarios to life! 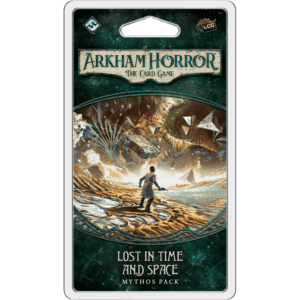 Perfectly compatible with Arkham Horror: The Card Game and a necessary and ideal companion for our custom Mythos Boards. The two should be paired together! 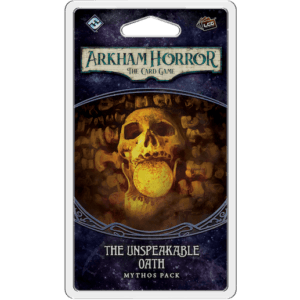 These quantities track up to 10 Health, 10 Sanity, and 15 Resources for a single investigator, and should be paired with a Campaign Set, and additional Investigator Sets as needed, to bring the entire board to life! When these first came out, it took me a while to really warm up to them. 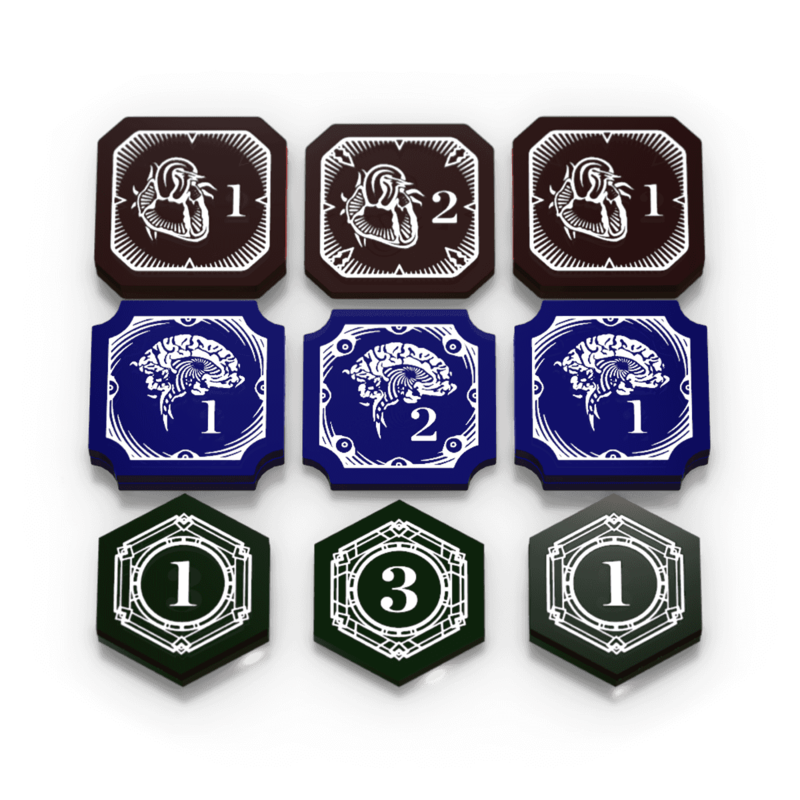 When I saw the Mythos Board, and saw how great it looked with these tokens… I had to have them. I have to say, I’m very glad I did! I have yet to get my hands on that elusive Mythos Board (is it vaporware??? 😉 ), but I’ve had so much fun with the great tokens. Great quality, excellent design and attention to detail (look how more “intense” the flipped sides get! )… and overall, you can’t beat the feel of acrylic versus cardboard. Well done, guys… again! As plastic tokens, though very nice, the price is pretty high and there ARE cheaper sufficient options elsewhere. However, this is a luxury experience. The packaging is thoughtful, professional and elegant. There is a satisfying ritual of individually unwrapping each of these tiny treasures. Combined with the other products the price only climbs higher but so does that feeling that you’ve truly found the best of the best. If you’re the kind of person who likes collector’s editions and has spent hours searching Amazon for the perfect old-timey box to hold your tokens (like me), take the plunge. When I first discovered these tokens, I was reluctant to take the plunge and purchase them because of the cost. I laughed and thought, there are cheaper options. 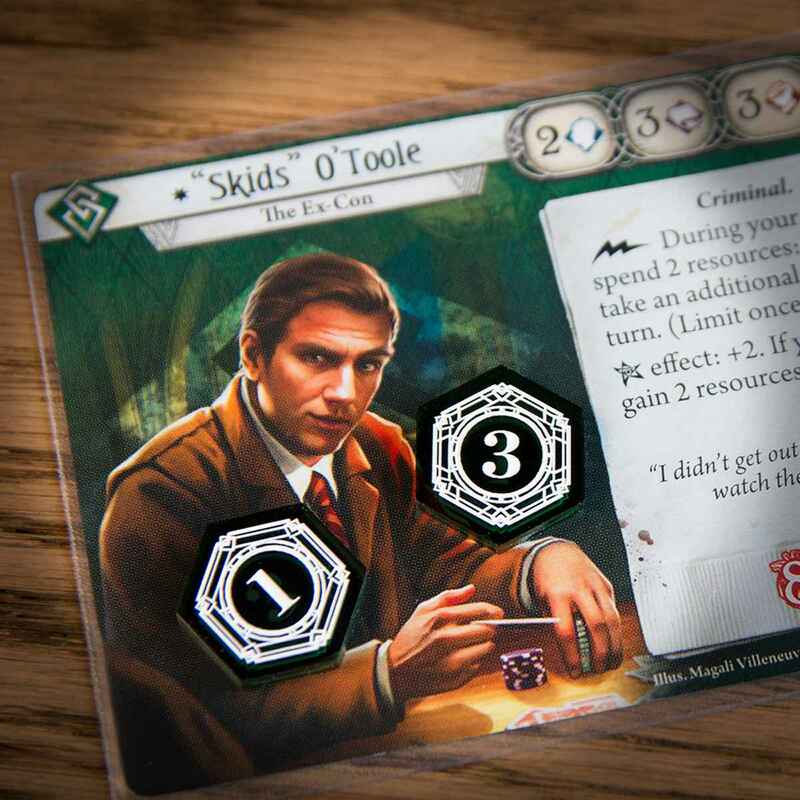 However, in time, what sold me on the product was the fact that these (unlike other tokens) are two-sided. If you are obsessive about storage, keeping each different token in a separate slot, a two-sided token means simplification. 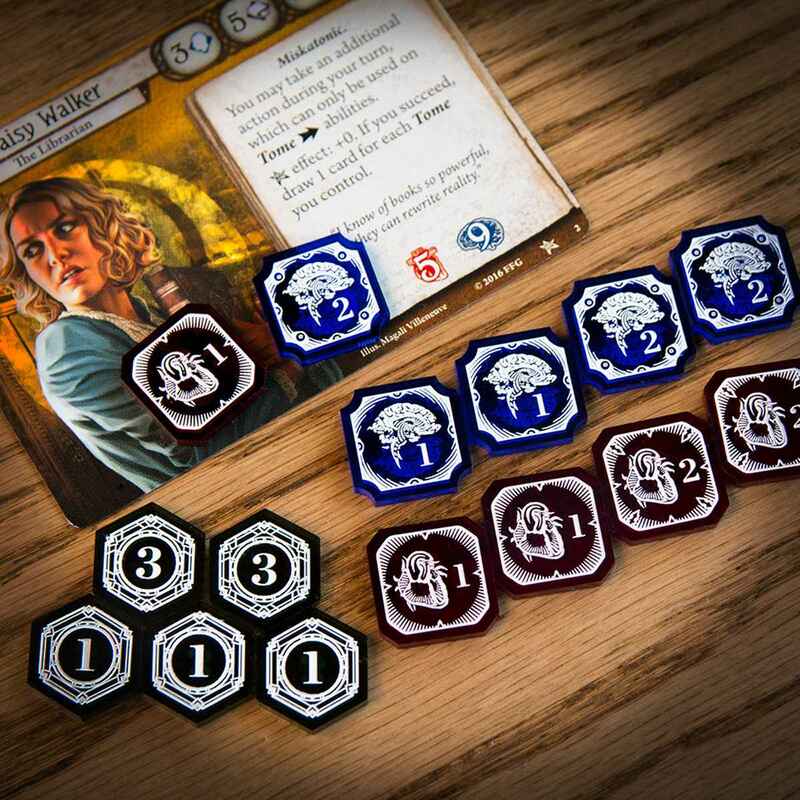 When they finally arrived, I realized how perfect these tokens are for Arkham Horror (or any of its predecessors). Yes they are expensive. Yes it takes a while to peel off the stickers from every token. But these are beautiful, and add a spark of something unique to a great game. I LOVE these tokens. They are my favorite tokens of any game ever. They Mythos Board just makes them even more awesome. Seriously. 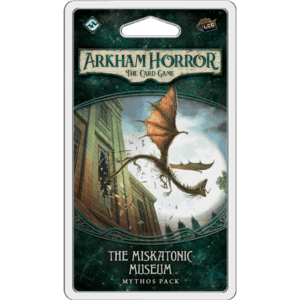 If you love Arkham Horror LCG even just a little bit, these tokens will prove that love and then some. 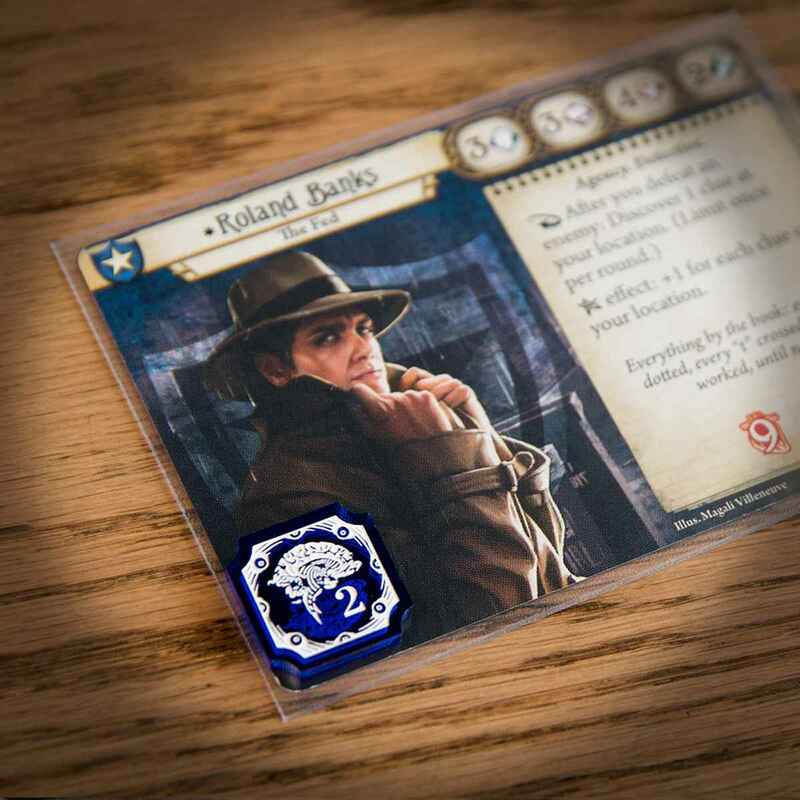 You will NEVER want to hold a cardboard token again. Worth it. These tokens looked great in the Team Covenant videos and I purchased four sets to go with our Mythos Boards and I cannot begin to praise these enough. 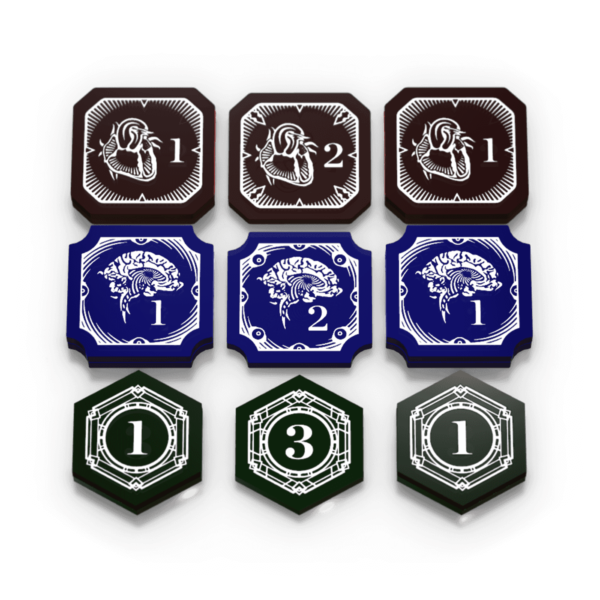 The design aesthetic and feel of these tokens go above and beyond what I even imagined. I look forward to purchasing more tokens from Team Covenant to help amplify my gaming groups experience!